Want some smexy shiny black tools? Coal.. it's the way forward. Added by adding recipes for Bars, Heavy tools, doesn't break stone. Nugget, Bar, Pick, Heavy Pick, Hammer, Axe, Heavy Axe, Mega Breaker. 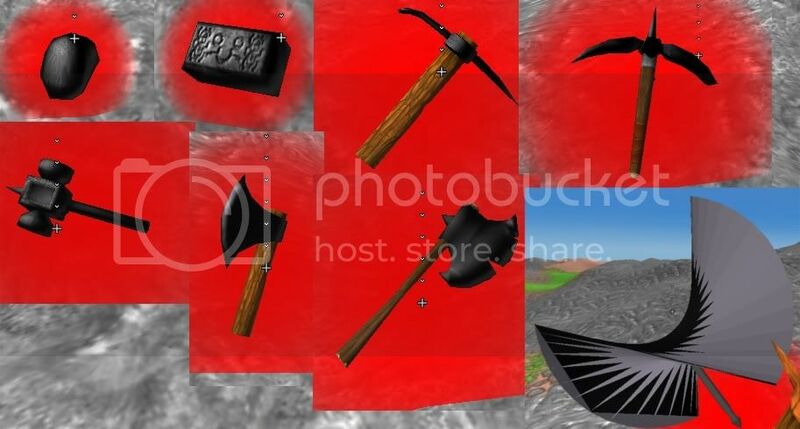 These coal tools are really cool!! Like the 3rd one from 1st row the most. I don't need these stinking tools! I'll just use a log and a gold ingot to make a 1 hit killer coal axe!